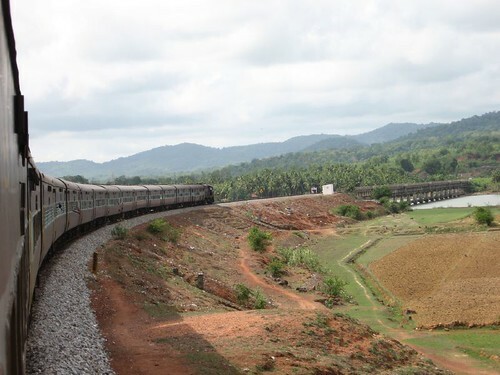 A rail journey through the scenic Konkan Railway is the Indian rail-fan’s ultimate dream. The first time I travelled through Konkan Railway was on 14 December 2006 – from Lokmanya Tilak Terminus (LTT) to Kerala on the 6345 Netravati Express. It was one of my most scenic rail trips ever. I clicked a few snaps then on the LTT-Panvel-Roha-Chiplun stretch, promising to do a full-fledged rail-photography session in the future. A few days later, I travelled again from Kerala to Madgaon on the 168 Trivandrum-Dadar Holiday Special. I clicked a few snaps again, mostly on the Honnavar-Asnoti-Madgaon stretch. From Madgaon, I travelled to Mangalore on the 2619 Matsyagandha Express, mostly clicking snaps of Mangalore when the train got there in the early morning. This year, I travelled from Ernakulam to Dadar on the Ernakulam-Dadar Holiday special that left Ernakulam after midnight (8 June 2007). This gave me a chance to photograph the stretch from Kannur-Kasaragod-Kankanadi-Udupi-Bhatkal-Kumta-Cancona-Madgaon during daytime. Click here to view a Google Map of my trip. 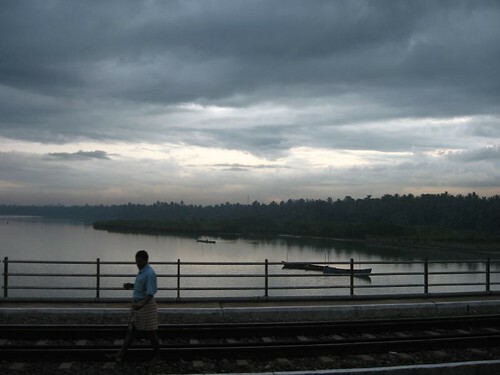 Nature shots around North Kerala – spectacular curves with moody, cloudy atmosphere & rocking diesel action. My holiday special train turned out to be special as it stopped almost at every station on the route – that meant more photo-ops. 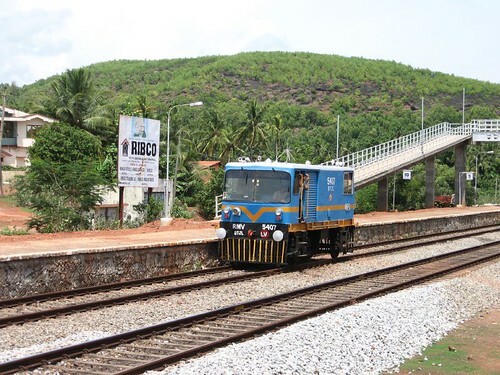 An encounter with a RORO train between Bhatkal and Kumta. Click here for the video. An encounter with a vehicle transport NMG train at Bhatkal. Photo-ops with WDMs at Kankanadi. Amazing greenery & plethora of water bodies along the Konkan route – did a ‘tree portrait’ shoot along the way. Meeting a friendly railwayman at Cancona. Watch out for the video! Lip smacking sandwiches from Madgaon. An encounter with an incredibly long freight train after Madgaon. Watch out for the video! I have uploaded images of the Ernakulam-Dadar (UP) trip on Flickr. Click here to view them. There are 162 snaps in all. I will upload snaps from my return trip from Mumbai to Kerala (DOWN) trip soon. Slide gives me an awesome way to give you a sneak preview of my images in this happening ‘8mm film treatment’. If you like what you see in here, you can head to Flickr. As always, your comments are welcome! Here’s my pick of the best 5 snaps. And here’s a sneak look at the entire lot. India is so vast and so very beautiful, especially by rail. It is not hte image that we Americans have, I think, as Bombay is about the only picture we get of India. Thank you for sharing. And, yes, I do want to visit one day. Lewis, Other than these photos, India has many varities, exploring to which you may take ages.. For example, you can take Karnataka. You can see the areas surrounded by western ghats and that is really fantastic. YOU are ONE of a photographer! I told you already and I do it again! Your country is as seen through your eyes fascinating. I’d love to visit and discover all these beautiful sites with you to tell me all about it. The opportunity to have the side stories, the background of what we see on this planet is unique. I like to imagine that, like in a dream, one day this will come true. Thank you for sharing… and please… keep doing it! Arun, this is magical! Thank you for sharing these views. It’s a relief to know Indian Railway’s committment to women, too! I hope to travel on Konkan Railway in my next trip to India. this is one of my dream route.. I liked your blog. Hey, those are some real cool pics ! Good job! I am also planning for my Konkan trip some time end of this year. would be happy to know more about the route from you. I want to join in Konkan railway as a Staff of HR Deptt. I am already working in HR deptt. of Howrah Division under Eastern Railway. My present designation is Staff & Welfare Inspector. I have 21 years experience in Indian railway. Hope Ishall be cosidered for joining in Konkan Railway. HI I AM SANJAY KHEDEKAR MY VILLAGE NAME IS GOREGAON YOUR PHOTO IS VERY GOOD AND KOKAN IS VERY BUTIFULLY . MY FRIEND SHARAD IS VERY ACTIVE IN YOUR PHOTO PLEASE MAIL MY E-MAIL ID – sanjay38.1982@rediffmail.com. Yes dear Sanjay konkan is even more beutiful in raini weather i really miss my village. ticket n buy which train so i can enjoy my journey best . Its superb, very nice pictures, wish to travel through Konkan. Its Great. We are planning to travel via that route on that train itself this week. Going by Bus and returning via train. I hope it will be a marvelous journey. Thanks again for those mind blowing photos. Thank you for your information Arun. Its really been amazing to see the pictures. When i saw these pictures i had started searching for the ebooking. I search for the Konkan railways. It ws very hard to find the ticket availability in the official website. it takes to long to load and lots of pop-up advertisements. i finally booked my tickets on 30th of August. I was made up easy to find the ticket availability in these http://www.indiantrains.org/ , http://www.indiantrains.org/ticket-availability/ . Friends if you want to book any tickets or to find the trains you can use this sites it will more helpful. The railways of India; a legacy of the Raj; an illustrious colonial contribution to the Subcontinent; a rule that was only marred by the tragedy of Partition. Great photos, they encourage me to make a trip to India. Great pics…hope to see and enjoy the landscape through my own eyes soon. Great job! If anyone is interested in staying and visiting these beautifull places first hand, we wish to inform that we have a homestay in a village called Doptewadi. 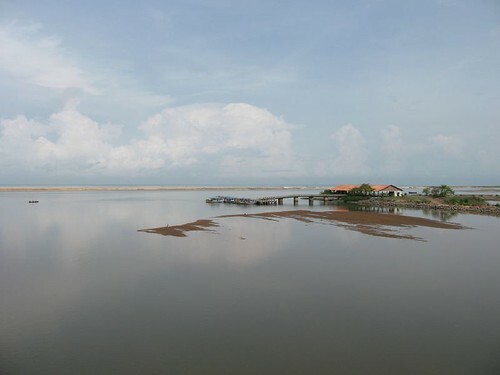 The home is close to a waterfall, a beach, an ancient fort, temples, mango orchards etc. You can see Konkan up close staying with us. You can get in touch at greenearthculture@gmail.com. Excellent, Classic, Fantastic, Marvellous pictures. Thanks for sharing it…. After seeing of these pictures i want to travel from this place, when will the best time to travel from this place, please send me through e-mail. Please,because i am the nature loving man. These images are fantastic! Rail holidays are becoming more and more popular. I am sure this scenic journey is well worth it! Need to contact you please e-mail me once you receive this e-mail. I need a videographer in 3rd & 4th week in Feb 2012, who has travelled the konkan railway for some work. The photos are beautifull & awesome. can you please suggest me how to go from chennai. i LOVE TRAVELLING and also I am a retired person. your photos are great. love to switch links or perhaps guest author a write-up for you. nice blog n wonderful clicks..im also plng to cover konkan railway route..hope i ‘ll find some wonderful clicks..any suggestions?? i am planning to make a trip in konkan railway ; can anyone help ? 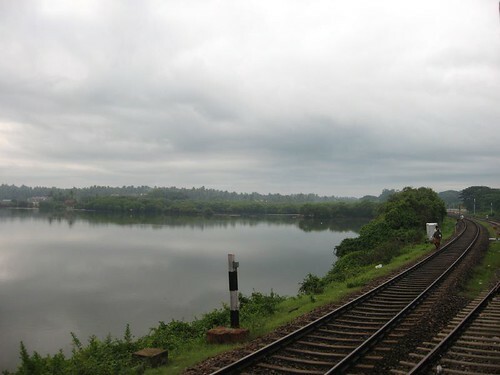 The Konkan line is world-famous and majorly known for the spellbinding scenery it offers to its travelers.